The Regimental Association was formed some 55 years ago to provide a place of comradeship and to give assistance, where possible, to those in real need. These facilities are available not only to members of the Regiment, past and present, but also to their immediate next of kin. The object of the Branch is to provide the opportunity for all ranks of the Regiment's past and present to enjoy the old spirit of comradeship by means of Branch meetings, social functions, outings and to assist, if possible, in any welfare difficulties. 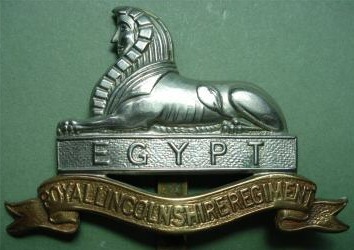 a) Full Member: A person serving or having served in the Regular or Territorial Regiments of the Royal Lincolnshire Regiment, East Anglian Regiment and Royal Anglian Regiment. b) Associate Member: A retired service person other than stated above. c) Honorary Member: A spouse of a deceased full member, a close family member (i.e. spouse) of a full member. Branch meetings are held at Sobraon Barracks, Burton Road, Lincoln on the third Thursday in every month starting at 7:30pm.